Start searching 9,208 homes in Wales now! Wales is a haven for all activities enthusiasts, foodies and walkers, hikers and bikers from all over the UK. With diverse landscapes and many fantastic places to see, activities to try out and towns and cities to discover, there is a side to Wales to cater for everyone. Find your perfect cottage today with Holidu and experience Wales’ true charm! Wales is a small nation with lots of possibilities for adventurous activities and an all-round fantastic time. Discover picturesque castles, diverse national parks and the famous Wales Coast Path along the west coast. Fascinating landscapes and cultural landmarks as well as unique events are found here: In the north, Wales’ highest peak of Mount. 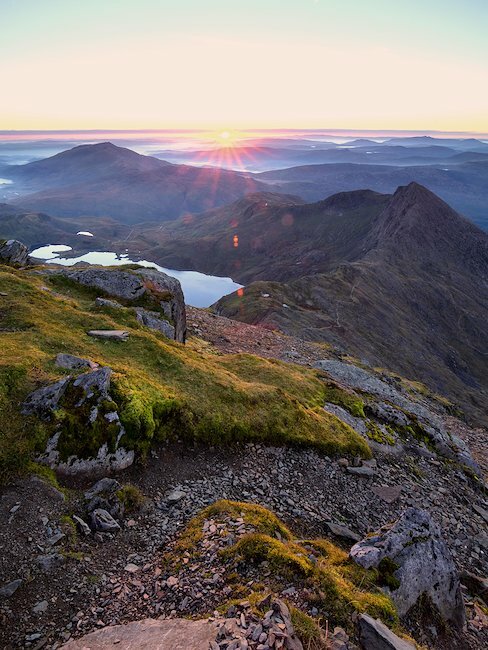 Snowdon is found in the stunning Snowdonia national park with the picturesque Isle of Anglesey found further north west with its stunning sandy beaches, majestic cliffs and cosy bays. Wales is home to many outstanding valleys and landscapes throughout, featuring the Brecon Beacons in the centre and a south with rolling hills, fantastic beaches and ragged cliffs – the lively cities of Swansea and Cardiff are found on the south coast, both offering many great landmarks to see, activities to do and nightlife to experience. With a variety of stunning cottages and holiday lettings located throughout the nation, there has never been a better time to discover the true Wales for yourself! Wales was chosen as the best travel destination worldwide by Rough Guide in 2014. A few aspects which contribute to this achievement are the breath-taking mountainous areas, valleys and castles which are found here. Wherever cottages and holiday lettings lie throughout Wales, one of Wales’ 600 castles from the previous thousand years certainly won’t lie far away - Wales calls itself home to rich culture which should not be missed out on! With great cultural aspects, phenomenal landscapes and a staggering coastline, Wales has much to offer for every kind of holiday maker. The nation caters for some of the best walking trails and mountains throughout the entire UK and fantastic road as well as off road biking possibilities. Wales also features a stunning west coast with long sandy beaches, picturesque bays and staggering cliffs. This area in summer caters well for family friendly beach holidays, and as Wales lies within the UK, why not bring your dog along! The Cefan Sidan Beach in Carmarthenshire is a typical example of a Welsh beach with its 8 mile length of sand, sea and sun. When it comes to cuisine, Wales certainly does not disappoint. Wales is home to various traditional produces, many farmers’ markets and award winning restaurants – renowned is great lamb, laverbread, as well as delicious Welsh cakes. Book a cottage with a close proximity to one of Wales’ fine restaurants and cafes! 1. South-Wales is famous for its distinctive Welsh culture, values and sport. The capital of Cardiff is located here and South Wales is known for its first class shopping possibilities as well as the large variety of museums and golf courses. Gourmet Restaurants await in the Monmouthshire Region, with courses you are unlikely to forget in a hurry. 2. North-Wales, whilst culturally independent compared to the south, displays Welsh culture in its own unique way and calls itself home to many castles, mountains and many local Welsh speakers. The landscape is defined by magnificent rivers, lakes and fine sandy beaches as well as waterfalls in the breath-taking Snowdonia National Park, where the best walking trails and views Wales has to offer are found. 3. The undisturbed coastal areas of the Ceredigion Region and the lush green hills of the Powys Region make Mid-Wales a fantastic holiday destination. Horse riding, walking and bike tours allows you to discover pure Welsh nature from the Brecon Beacons to the picturesque hills in Llanidloes. 4.Cardiff, Wales‘ capital city offers spectacular shopping, fascinating museums and restaurants of the finest quality as well as unique cultural hotspots. Visit the spectacular Millennium Stadium, home to Welsh Rugby, the National Museum or the impressive Cardiff Castle. All landmarks are easily accessible by foot in the town centre and the bay awaits with spectacular views of the sea. Cardiff is truly a great mix between modern facilities and magnificent surrounding landscapes. 5. The picturesque town of Tenby contains stunning beaches and a well sustained historic town wall, well renowned throughout the UK. The town features cosy pubs and restaurants with various cottages and holiday lettings dotted throughout which can be found with Holidu. holiday lettings and holiday homes. With Holidu’s user friendliness and ease of use, determine how many rooms you require for your accommodation, a TV, a dishwasher, Internet access, pet friendly facilities, child friendly facilities and many more. Find your dream accommodation and complete your dream Welsh break. Book online today with Holidu!